TITANS ON MONDAY NIGHT: With their win at Dallas, the Titans improved the franchise's all-time record on Monday Night Football to 23-17, including a 12-6 mark in the "Titans era" (1999–present). 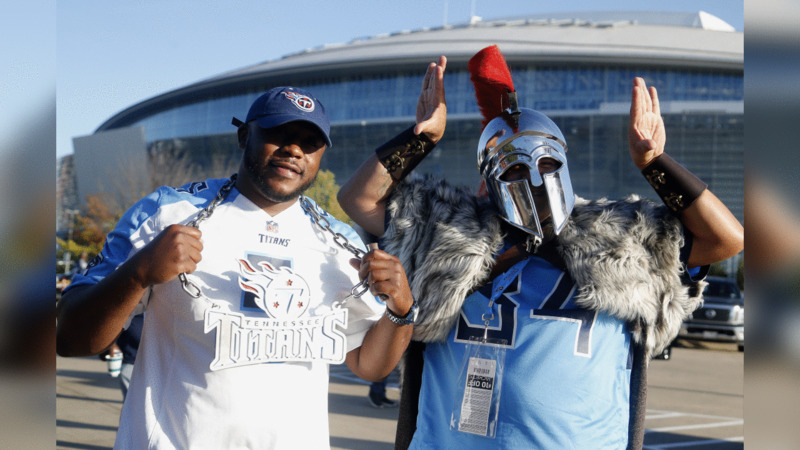 The Titans have six wins in their past seven Monday night appearances. BEST RATE ON THIRD DOWN SINCE 1995: The Titans converted 11 of their 14 attempts on third down against the Cowboys. Their 78.6 percent success rate was the franchise’s best since Nov. 26, 1995, when they converted 81.8 percent (9-11) against the Denver Broncos. The 78.6 percent rate at Dallas also was the highest in an NFL game in 2018 and tied for the highest in the league in the last three seasons. MOST TIME-CONSUMING DRIVE SINCE 2012: In the first half, the Titans scored a touchdown on a 15-play, 80-yard drive that took 8 minutes and 55 seconds. It was the team’s most time-consuming drive since Dec. 9, 2012, when the Titans scored a field goal at Indianapolis on a drive that lasted 10 minutes and 8 seconds. The Titans recorded their most time-consuming touchdown drive since Oct. 9, 2005, when they took 9 minutes and 6 seconds to reach the end zone on a possession at Houston. CONVERTING TAKEAWAYS TO POINTS: The Titans had two takeaways and turned those into 14 points. The offense scored touchdowns after an interception by Kevin Byard and after a fumble recovery by Wesley Woodyard. OFFENSE IN THE RED ZONE: The Titans offense had five trips inside Dallas’ 20-yard line and scored touchdowns on four of those occasions (80 percent). The only other trip to the red zone resulted in a missed field goal. Entering the contest, the Cowboys defense ranked second in the NFL in the red zone, giving up touchdowns at a rate of only 36.8 percent. PENALTY NUMBERS LOW: The Titans were penalized only three times for 20 yards, each of which were the best numbers for the team since being whistled twice for 15 yards against Jacksonville on Dec. 31, 2017. The Titans’ 37 penalties in 2018 make up the lowest total in the NFL through nine weeks. TIME OF POSSESSION WIN: The Titans won the time of possession battle for the second consecutive week, holding on to the ball for 34 minutes and 26 seconds at Dallas (25:35 for the Cowboys). MARIOTA’S THREE TOTAL TOUCHDOWNS: Marcus Mariota completed 21 of 29 passes for 240 yards with two touchdown passes and no interceptions against the Cowboys. 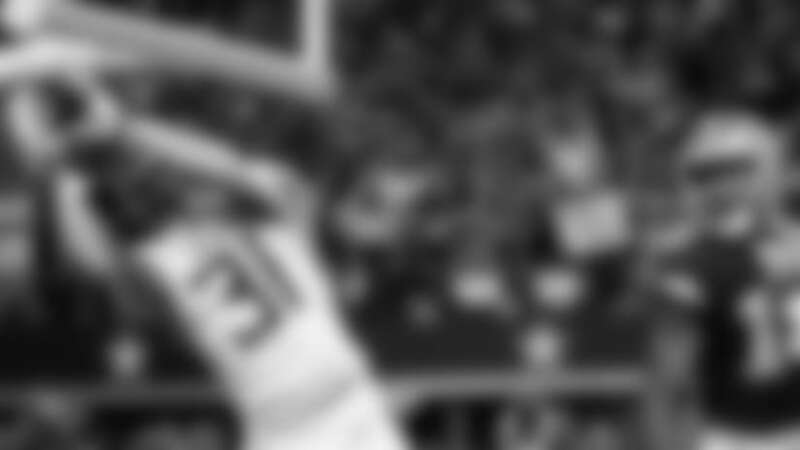 His passer rating of 119.9 set a season high and was the seventh-highest mark of his career. He also rushed for 32 yards and a nine-yard touchdown on 10 attempts (tied career high). It marked his seventh career game with at least one rushing and one passing touchdown and his fifth career performance with at least two passing touchdowns and one rushing touchdown. MARIOTA ON MONDAY NIGHT: In two career appearances on Monday Night Football, Marcus Mariota has led the team to two victories, completing 44 of 61 total passes for 546 yards, three touchdowns, one interception and a 109.1 passer rating. TWO TD PASSES: In the second quarter, Marcus Mariota completed an 18-yard touchdown pass to running back Dion Lewis. In the third quarter, he completed a seven-yard touchdown pass to tight end Jonnu Smith. His performance increased his totals to five touchdown passes in 2018 and 63 in his four-year career. MARIOTA IN THE FIRST HALF: In the first half, Marcus Mariota completed 12 of 15 passes (80 percent) for 130 yards and one touchdown. His 125.0 passer rating was his best first-half passer rating in 2018. THIRD-DOWN PASSING: On third down, Marcus Mariota completed six of seven passes for 98 yards with six first downs and a passer rating of 118.8. LEWIS A DUAL THREAT: Running back Dion Lewis led the team with 62 rushing yards on 19 carries—the third-highest carry total of his career—and he also led the team with 60 receiving yards on four catches. His 122 total scrimmage yards ranked fifth in his career and gave him 277 scrimmage yards in a two-game span. LEWIS SCORES: In the second quarter, running back Dion Lewis took a screen pass from Marcus Mariota and raced to the end zone for an 18-yard touchdown. It was Lewis’ first touchdown reception in a Titans uniform and the sixth touchdown reception of his career. HENRY SCORES FOR SECOND CONSECUTIVE GAME: Running back Derrick Henry scored for the second consecutive game. He reached the end zone at Dallas on a one-yard run in the second quarter. The score gave him 12 career touchdown runs and two rushing touchdowns in 2018. BIG PLAY BY JENNINGS: In the second quarter, second-year wide receiver Darius Jennings set a new career long on a 36-yard reception that helped set up a touchdown. His previous career long was a 16-yard catch against Cincinnati on Dec. 6, 2015. LONG CATCH & TOUCHDOWN BY SMITH: In the third quarter, second-year tight end Jonnu Smith caught a 26-yard pass from Marcus Mariota. It was Smith’s second-longest career reception (32 yards). Later in the quarter, he scored his first touchdown of 2018 and the third touchdown of his career on a seven-yard catch. Smith’s 33 passing yards surpassed his previous career high of 30 yards at Jacksonville on Sept. 17, 2017. DEFENSE IN THE RED ZONE: The Titans defense improved upon its numbers as the NFL’s best defense in the red zone. The Cowboys’ four possessions inside Tennessee’s 20-yard line resulted in one touchdown, one interception, one missed field goal and one turnover on downs. In 2018, the Titans defense has allowed only seven touchdowns on 22 opponent possessions in the red zone for a league-best rate of 31.8 percent. FIVE SACKS: The Titans recorded a season-high five sacks, the most by the defense since it had eight sacks at Arizona on Dec. 10, 2017. Five different players recorded a sack: Wesley Woodyard, Jayon Brown, Harold Landry, Brian Orakpo and Austin Johnson. DEFENSE IN THE SECOND HALF: The Tians defense did not allow a score in the second half and limited the Cowboys to 108 total yards. It was the first time in 2018 the Titans shut out an opponent in the second half. BYARD RECORDS PICK: In the first quarter, safety Kevin Byard ended a Cowboys threat with an interception in the end zone. On a play from the six-yard line, Byard intercepted a pass from Dak Prescott that was intended for wide receiver Amari Cooper. The play gave Byard two interceptions in 2018 and 10 interceptions in his three-year career. 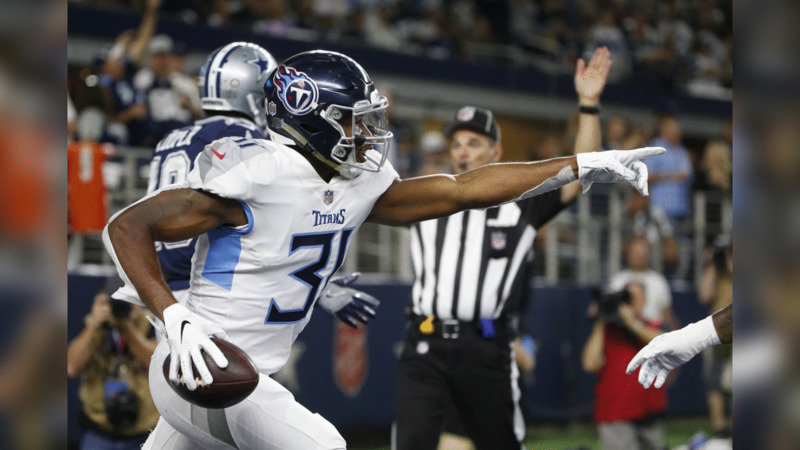 BYARD TIED FOR INTERCEPTION LEAD SINCE 2017: With his interception at Dallas, safety Kevin Byard recorded his 10th interception since the start of the 2017 season. He is tied with Detroit Lions cornerback Darius Slay for the NFL lead in that time period. STRIP-SACK BY BROWN: In the third quarter, inside linebacker Jayon Brown recorded a sack and forced fumble. He dropped quarterback Dak Prescott for a six-yard loss and knocked the ball loose before it was recovered by fellow linebacker Wesley Woodyard. It was Brown’s fourth sack of 2018 (5.5 career) and his first career forced fumble. WOODYARD’S 100TH START: Inside linebacker Wesley Woodyard recorded his 100th NFL start. He has started 60 games since joining the Titans as an unrestricted free agent from the Denver Broncos in 2014. BIG NIGHT FOR WOODYARD: In the third quarter, inside linebacker Wesley Woodyard recorded his first fumble recovery of the season, grabbing the ball after it was lost by quarterback Dak Prescott. The play gave Woodyard five career fumble recoveries. Then in the fourth quarter, Woodyard took down Prescott for no gain to record his second sack of 2018 (24.5 career sacks). SACK BY JOHNSON: In the third quarter, defensive lineman Austin Johnson sacked Dak Prescott for a six-yard loss. Johnson notched his first sack of 2018, which gave him 2.5 sacks in his three-year career. ORAKPO’S FIRST SACK OF 2018: In the fourth quarter, outside linebacker Brian Orakpo forced Dak Prescott out of bounds for a two-yard loss, giving Orakpo his first sack of 2018 and 65.5 sacks in his 10-year NFL career. LANDRY NOTCHES SACK: In the fourth quarter, rookie outside linebacker Harold Landry dropped Dak Prescott for an eight-yard loss, giving the second-round pick two sacks on the season. SUCCOP PASSES GEORGE: With four extra points at Dallas, kicker Ryan Succop increased his total to 452 total points as a member of the Titans. He passed Eddie George (450) for fifth place on the franchise's all-time scoring list. KERN TIES HENTRICH FOR CONSECUTIVE GAMES: With his 146th consecutive game played with the Titans, punter Brett Kern tied Craig Hentrich for third place on the franchise's all-time consecutive games played list. He trails only Bruce Matthews (232) and Robert Brazile (147) in Titans/Oilers history. KERN TIES THOMPSON FOR OVERALL GAMES: With his 146th overall game played with the Titans, Brett Kern tied former Oilers linebacker Ted Thompson for 13th place on the franchise's all-time games played list. INACTIVES: The Titans’ inactive list included cornerback Kenneth Durden, fullback Jalston Fowler, linebacker Will Compton, guard Aaron Stinnie, tackle Tyler Marz, outside linebacker Derrick Morgan and defensive end Matt Dickerson. Compton (hamstring) and Morgan (shoulder) were listed on the injury report prior to the contest.